It’s been a week, hey? I’d love to hear some highlights of your week in the comments because we can never hear enough good news, right? To learn more about the weekly link-up and how it all works, visit this page. We write fast and free, then support and encourage one another by reading and commenting on other posts that have linked up. It’s such a great way to meet new blogging friends and read amazing writing! 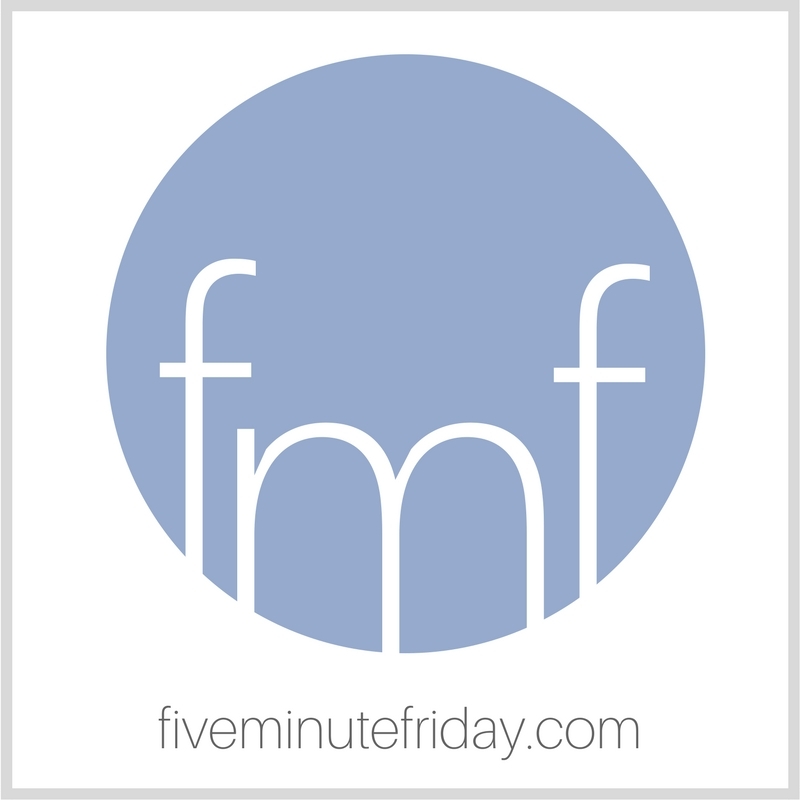 It’s @5minutefriday time! This week’s #writing prompt is: SPEAK. Come join us! Here we go! 3, 2, 1 … BEGIN. Sometimes I think we forget how much power the tongue holds. Many of us have a tendency to speak flippantly and without much thought or care. Perhaps it’s a self-control issue, or maybe it’s a matter of the heart. The thing is, as Christians, we have a command to go and speak. We are told to be tellers. But how do we know when it’s time to speak and when to remain silent? And if we discern that it’s time to speak, how do we know what words to say? I cringe sometimes on social media in particular when I see dear brothers and sisters lashing out with unfiltered words in attack of another. Does it require greater boldness and self-control to speak up, or to hold your tongue? I wonder if they’d be so bold or rash in a face-to-face conversation. I doubt it. And it pains me. We have a command to tell, to speak, to share … but does that mean we have to open our mouths all the time? Slow to speak. Slow to get angry. Quick to listen. Yes, when the time is right and the words are laced with grace and truth, by all means, speak. But in every other situation? Practice listening. #Writers and #bloggers: Join us for @5minutefriday as we write on the prompt, SPEAK! What are your thoughts on the word, SPEAK? Share them in the link-up below, then visit your link-up neighbor to speak an encouraging word! I’m definintely guilty of speaking more than I listen :/. God’s been working with me, though! I wish your words were not true Kate, but I’ve been guilty. I’m guessing we all have at times. Sanctification is sometimes a slow process…sigh. Wow, I’m struggling with a highlight! But …… after months of frustration, we found a staff person at my son’s soon-to-be college who was genuinely helpful and made it possible to straighten out the annoyances and get him enrolled, so I am grateful for that. Also, on a more difficult topic, I opened up (a little!) to a family member about a financial need and they agreed to help. AND our town had a beautiful “embrace peace” rally tonight in response to the events in Charlottesville. THAT was a highlight for sure! Kate, I have learned that my most meaningful words are the ones that never pass my lips. I’m with you, Kate… Thank you for choosing (or obeying) such a bold and needed word today. Bless you with feast of JOY… as you speak and listen to Jesus! I read your post after I linked up and looks like our thoughts were somewhat similar on one particular thing — your words “I wonder if they’d be so bold or rash in a face-to-face conversation. I doubt it. And it pains me. We have a command to tell, to speak, to share … but does that mean we have to open our mouths all the time?” I so agree!! Great selection of verses for this topic! More time in prayer helps me tune in to others. My husband and I begin the day with a selection from the Psalms and prayer. Kate, powerful wisdom in 5 minutes! I especially appreciated “when the time is right and the words are laced with grace and truth, by all means, speak. But in every other situation? Practice listening.” This, I want to do more. We are told to be tellers. I find it harder to speak up rather than hold my tongue. It is the timidity that must die. But I won’t let go of humility and honor to step out and speak either. I want to keep all 3 in heart. Thanks for sharing this, Kate. I linked up! I love your heart for Jesus and your heart for being Iron Sharpens Iron. <3 Thank you. I know what you mean, Kate, about the way people (Christians!) speak on social media. It’s terrible, sometimes. Really listening to one another seems like a dying (or already dead) art sometimes. I think I I tend to err on the side of not speaking — mostly due to fear — and then often I regret that I was not more honest and brave. I wonder if there are those for whom fear is the reason they DO speak. This is a powerful message to me as I have not been holding my tongue as well as I should. Often I feel like I need to contribute to a conversation or speak before I really thought about how someone might take a meaningless comment. If my words are encouraging, loving, helpful or thought provoking, then I pray that I remember to be silent. Let my words be His Words. Let my silence be full of discernment. Thanks, Kate! I wrote on a similar theme…..but I love your reminder to “practice listening”! This would prevent a lot of problems and make the greatest impact.